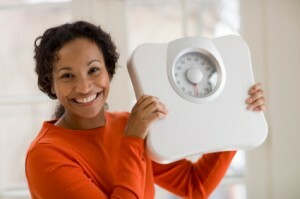 Women lose weight differently than men. At least, that’s the way it often appears. Men can just decide to cut out dessert and drop a pants size in a week, and yet, women can work out and eat as cleanly as possible, but look at a dessert and gain five pounds. It’s just not fair, is it? Why is this, and how can women stack the odds to be a bit more in their favor? This program helps members by introducing healthier choices and physical activity into their lives. Weight Watchers was made popular by its POINTS system, which helps members learn how to have the foods they love and still lose weight. With in-person meetings, online support and even the new iPhone app, Weight Watchers is always there for support and guidance. This successful weight loss program uses the glycemic index to help you lose weight. With prepackaged meal options shipped directly to you, including some of your favorite foods like burgers and pizza, this diet is light on calories and heavy on satisfaction and results. One of the most popular diets for women, Jenny Craig has the success rate to back up its claims of being a leader in the diet world. By offering prepackaged, portion controlled meals, Jenny Craig takes the guess work out of what to eat and retrains the dieter to understand correct portions of appropriate foods. With local in-person meetings or phone support, there is always someone to help you stay on the right path. Created by the fitness guru, this is a three-step program designed to repair the damage that years of fat-free foods, artificial sweeteners, diet sodas and processed weight loss foods have done to your hormones and consequently, your metabolism. Jillian Michaels calls these “frankenfoods.” This is a no-nonsense, informative and effective program that retrains your body to rely on natural foods, smart eating, and healthy lifestyle habits in order to restart your metabolism and transform it into a fat-burning machine. One of the most exciting plans ever created, Drs. Mehmet Oz and Michael Roizen help people identify a realistic approach to slimming their waistline, and not necessarily losing weight. The basic premise of removing over-processed foods, those containing high fructose corn syrup, anything that says hydrogenated, trans-fats and other food ingredients that do more harm than good and replacing them with whole grains, fresh fruits and vegetables, lean proteins and healthy fats creates a sound and solid diet that can’t help but have a positive affect on a body. A comprehensive diet overhaul, the Gorgeously Green diet is the first of its kind to tie environmental awareness in with weight loss. With three different levels, you perform a complete kitchen purge where you rid your fridge and pantry of unhealthy eats and replace them with upgraded staples. This diet encourages you to create a fitness plan and eat a natural, preservative free, whole foods-based diet. Not an official diet, this book recommends that you use a diet of your own choosing and, instead, address the behaviors that might be causing you to cheat and be unsuccessful on whatever diet you’re on. For many people, embracing, understanding overcoming the internal struggles can be their best advantage in losing weight. According to a recent study released by the American Diabetes Association, a diet rich in Monounsaturated Fatty Acids (MUFAs) will help reduce abdominal fat. By adding MUFAs to your diet, you can help your body trim fats. The diet also has you add Sassy water (water blended with ginger) and advocates drinking large portions throughout the day. For MUFAs, each meal will include food items like avocados, nuts, olive oil and even chocolate. Offering workout stations that require just 30 minutes to complete and found in busy storefronts, the Curves program offers a convenient way to use their female-only gyms. The gym also features a weight management program that can help you lose weight and improve your nutrition. For an additional cost, you get an online component which offers more support and motivation to succeed.